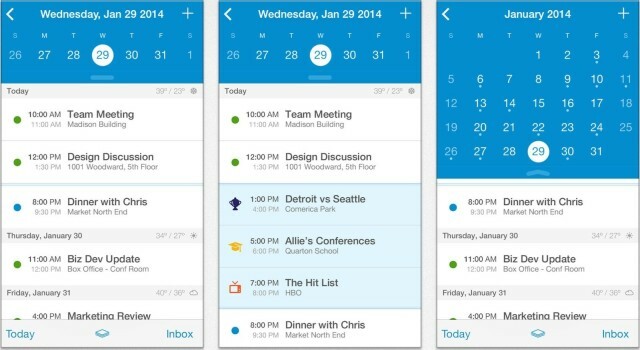 UpTo’s original take on the iPhone calendar was fairly unusual. 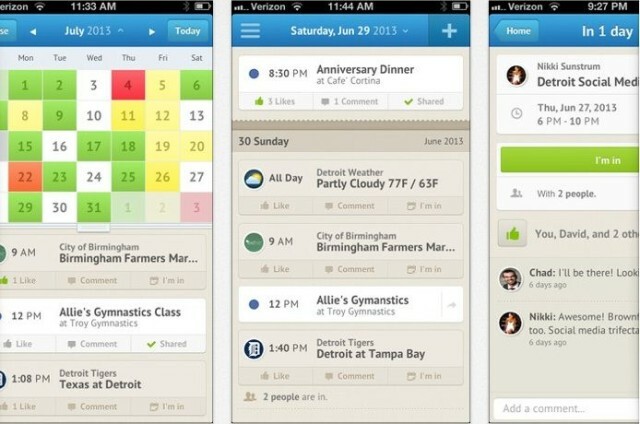 the app allowed you to follow the calendars of friends or organizations, whose events then appeared on your calendar; you could the interact withe the events more or less the same way you would a Facebook post: There were likes, comments and a handy “I’m in” to signify attendance. The problem is, in order for anything with a social twist to work, lots of people need to use it — and based solely off my observations while using the app, that didn’t seem to be the case. Also, some users may have found the app overly complicated. So now, UpTo has been radically redesigned with a focus on layers instead of social connection. But is it better?